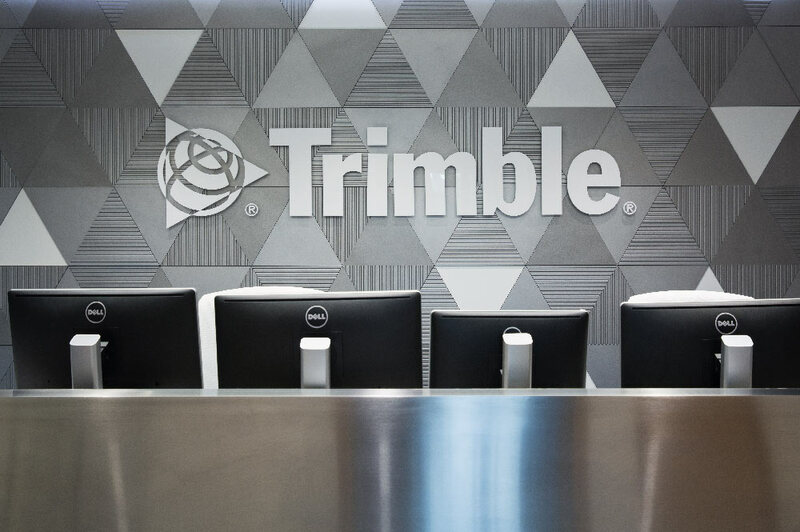 As part of a large scale re-branding project, 4d creations produced and installed a vibrant creative office interior graphic scheme for Trimble’s new office in Leeds in collaboration with So Vibrant and Eddisons. 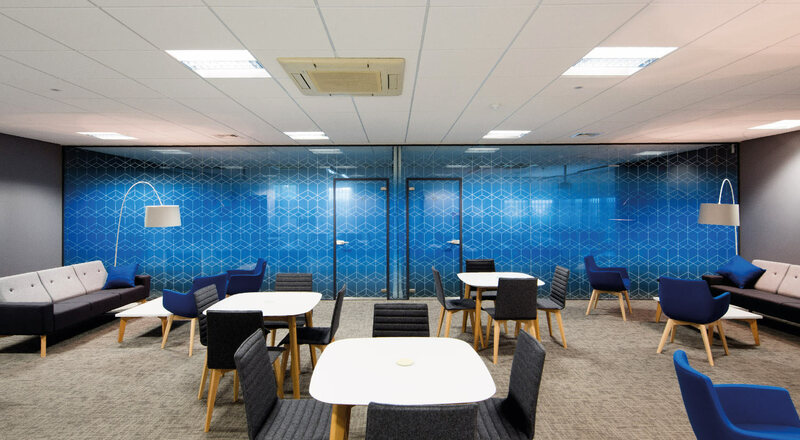 An intricate white ink geometric pattern was printed onto optically clear window film using a blue and white multi-layer spot solid gradient technique perfected by our in house team. The 11 meter window manifestation is DDA compliant as well as offering the Trimble staff privacy during meetings and training. 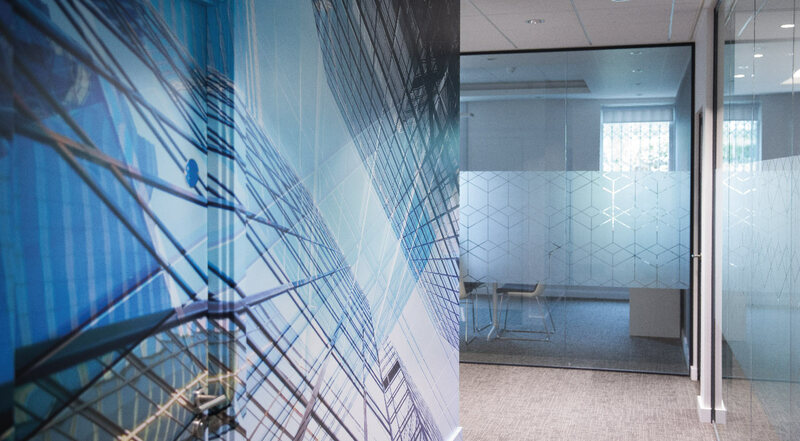 100 meters of printed frosted window manifestation applied throughout the 3 storey building with a high sparkle finish was the finishing touch to this high quality fit out project. 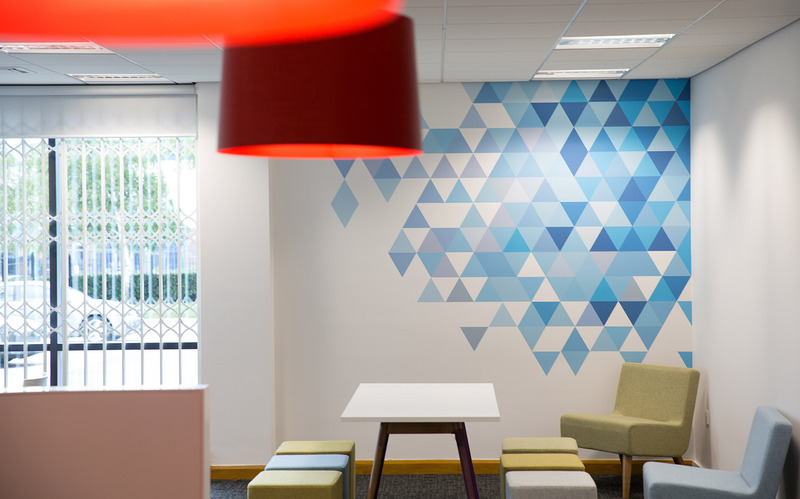 This also included bespoke printed wall coverings with a satin sealant and door frame wraps using a bespoke printed wrapping media.